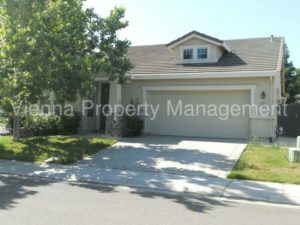 Great location in North Natomas, across from a large park this is a great place to call home! This lovely home sits on a larger corner lot and has four bedrooms and two bathrooms. There is a large family room with built in cabinetry adjoining the gourmet kitchen. The kitchen has upgraded stainless steel appliances, tile counters, a stainless steel fridge and breakfast bar. When you walk in the front door you are greeted by the formal dining & living room.